Does the new collection of Star Trek: The Original Series material offer its own novel look into the legendary show? Star Trek, perhaps more so than most popular franchises, has been dissected to an incredible degree over the course of its 50-year history. Collectors and die-hard fans have found “missing” film clips, rare deleted scenes, and production stills related to the Original Series. These items help inform us of the legendary show, life on the set, the trials of production, and the relationship between the cast. One would assume we’ve seen all that there is to see. As it turns out, that is wrong. Thanks to incredible foresight from Star Trek creator Gene Roddenberry, a literal treasure trove of material related to the production of the Original Series was saved from the cutting room floor of the show. Stored away for decades, this material would almost certainly never see the light of day, if not thanks to the restorative efforts of Mike and Denise Okuda and their team who helped bring this material from the basement of Gene Roddenberry’s house to living rooms across the world. The result of this restorative effort, The Roddenberry Vault, is a stroke of good fortune for those die-hards who thought they had exhausted their knowledge of Star Trek. The full list of items in the vault is incredible: deleted scenes, omitted dialogue, alternate angles, and more bits of production are contained on three Blu-ray discs. The question is, is this material worth the asking price? Inside the attractive packaging is a single disc case containing three Blu-rays, labelled Parts I, II, and III. On these discs is 12 classic Star Trek episodes, chosen by their relevance to the vault material. Behind-the-scenes material aside, viewers have the option to watch these episodes by themselves in full HD, either with the original special effects, or the remastered effects as seen in the 2006 DVD release. Of course, if you watch the series on Netflix, Amazon Prime or CBS All Access, you likely already know the difference between the original and remastered versions. It is a great option to choose between the two, and going back to the original effects shows just how humble the original visual work was. 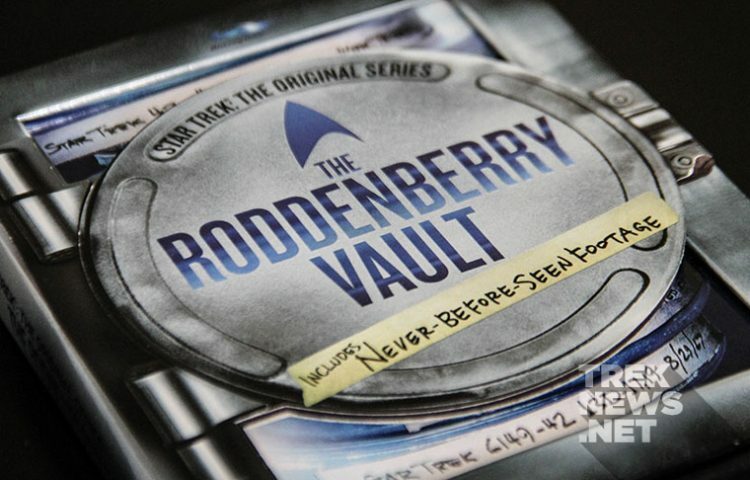 The Roddenberry Vault‘s main selling point, the three-part documentary titled Inside the Roddenberry Vault, is a fascinating look into this wealth of material and its relationship to the show. 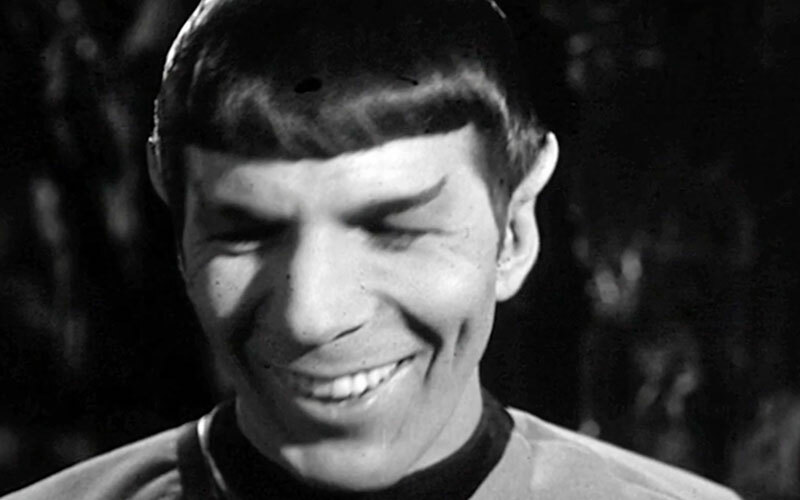 Easily the best part of the vault, this documentary weaves together the long-lost footage with interviews from Star Trek actors, crew, and public figures. Major on and off-screen players are heard from, such as William Shatner, Dorothy “D.C.” Fontana (writer), David Gerrold (writer), and Richard Edlund (visual effects artists, just to name a few). Fans of the show, such as Bill Nye the Science Guy, Family Guy producer David A. Goodman, and The Big Bang Theory co-creator Bill Prady, among others, also offer their thoughts on Star Trek and its impact in the world. Totaling about an hour and half, this documentary presents a treasure trove of content in an understandable narrative, as each episode and its respective vault contents receives a dedicated section of the documentary. It’s a great way to showcase both the show itself, and the vault. As good as Inside the Roddenberry Vault is, however, it presents the major flaw of the collection. While it is nice to have this material presented in a narrative form, it would have also been welcome to make all the vault material available to be viewed sans documentary; a pure, unaccompanied, and uninterrupted presentation of the vault contents would satisfy those who simply want to view the content at their own pace. Besides Inside the Roddenberry Vault, two other, shorter documentaries help flesh out the making of the show. The first, called “Star Trek: Revisiting a Classic,” offers great insight into the making of the show that, in the 1960s, was simultaneously ahead of its time, and a timely commentary on world events. The second documentary, “Strange New Worlds: Visualizing the Fantastic,” is perhaps the more interesting of the two, as it offers an in-depth look into the instantly recognizable design of the show. 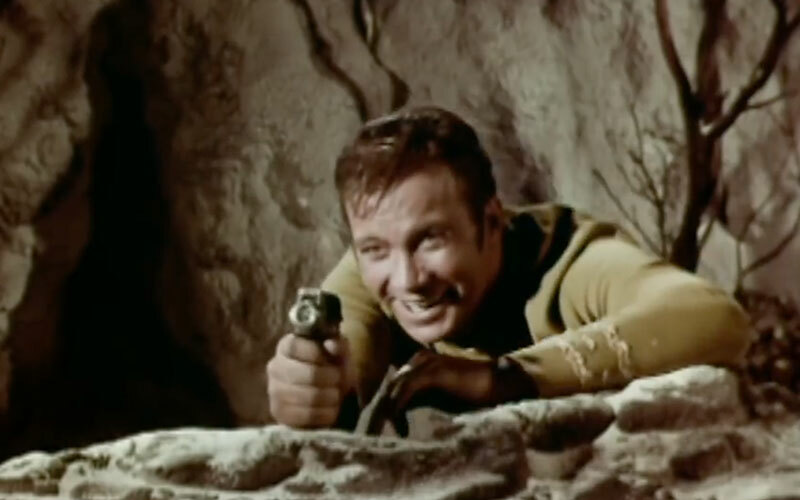 Many aspects of production are covered here, including the particularly colorful lighting the show used, the emphasis on keeping the show’s design outside the 1960s (including Roddenberry’s insistence that actors not have sideburns), and unused miniature special effect shots of the Enterprise, material all taken from the vault. Original material like this offers one of the best insights into the production of the show, and exactly how much work was needed to ensure a grounded science-fiction look. These documentaries are definitely worth a look for anyone interested in the making of Star Trek, or science-fiction television shows in general. Outside these three documentaries, certain episodes are available to watch with just their music tracks audible. An interesting addition, to be sure, but certainly not the best way to watch an episode. Rather, those looking for a deeper appreciation of the music, anything from dramatic beats, to the romantic themes that pop up nearly every episode, should give these viewings a try. While certainly not a selling point of the vault, they offer their own appreciation for the show that you likely can’t hear anywhere else. So, The Roddenberry Vault obviously presents a lot of information worth dissecting, but let’s return to the question: is it worth the money? The answer is yes, especially if you are a die-hard Star Trek fan. This vault includes a wealth of information that, honestly, was cut from the final episodes for a reason. Whether it is a small piece of minor omitted dialogue, or a deleted scene, or simply a scene filmed from a different angle, the contents of the vault will really only mean something special to dedicated fans. If you are someone who needs to know everything you can about Star Trek in this way, then The Roddenberry Vault is an obvious buy. 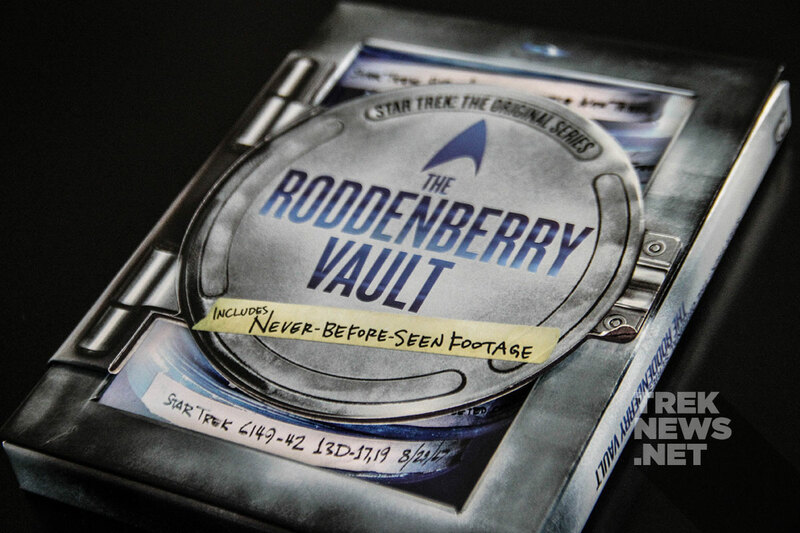 However, Inside the Roddenberry Vault, the collection’s main documentary that weaves together the vault contents with new interviews, is an intriguing look into Star Trek history. 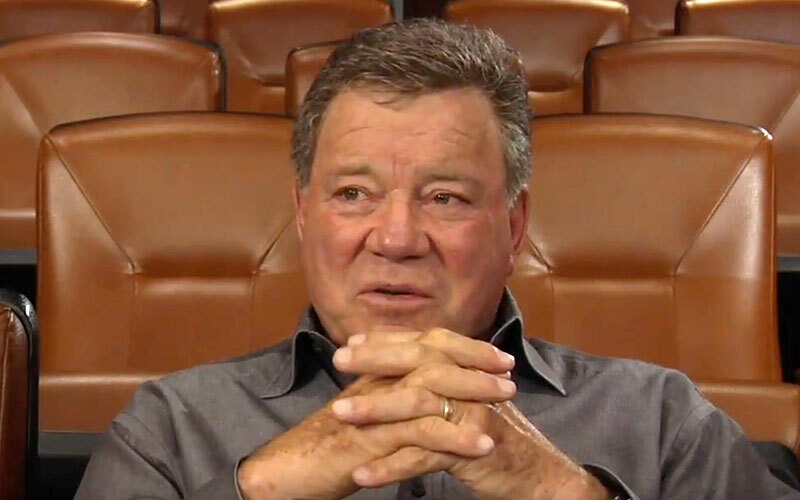 You are sure to learn some interesting aspects of the show through this documentary, whether it is how William Shatner coped with his father’s death during the shooting of “The Devil in the Dark,” or how certain guest actors worked with the cast and crew of the show, or other details of the show’s production. In this sense, considering The Roddenberry Vault is the only place to view these productions, and considering the inclusion of multiple versions of classic Star Trek episodes, this makes the vault a fantastic place to revisit the show. On Star Trek’s 50th anniversary, it’s hard to imagine a better way to celebrate. 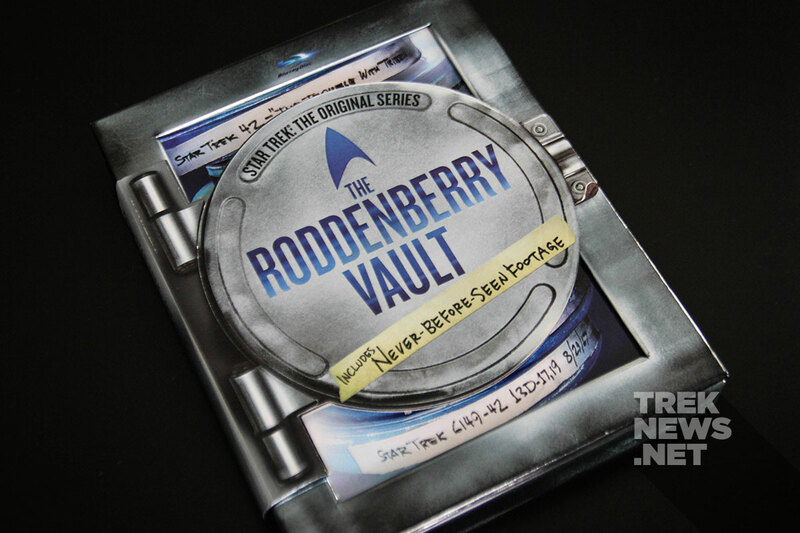 The Roddenberry Vault is now available on Amazon. 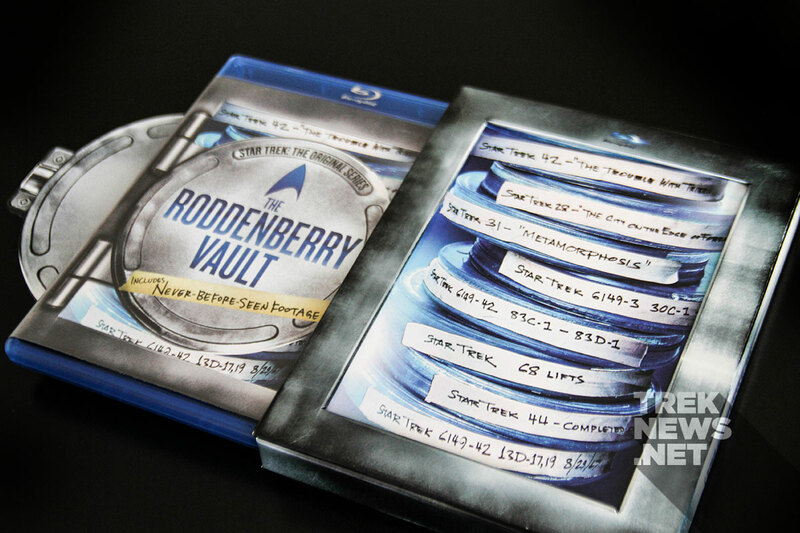 [REVIEW] The Roddenberry Vault On Blu-ray While The Roddenberry Vault offers fans valuable never-before-seen insight into the making of the show, it would have been nice to see the vault contents viewable outside the documentary as well. Otherwise, the vault is a fantastic way to revisit the 50-year-old show and should definitely be on the Christmas list of any Star Trek fan.